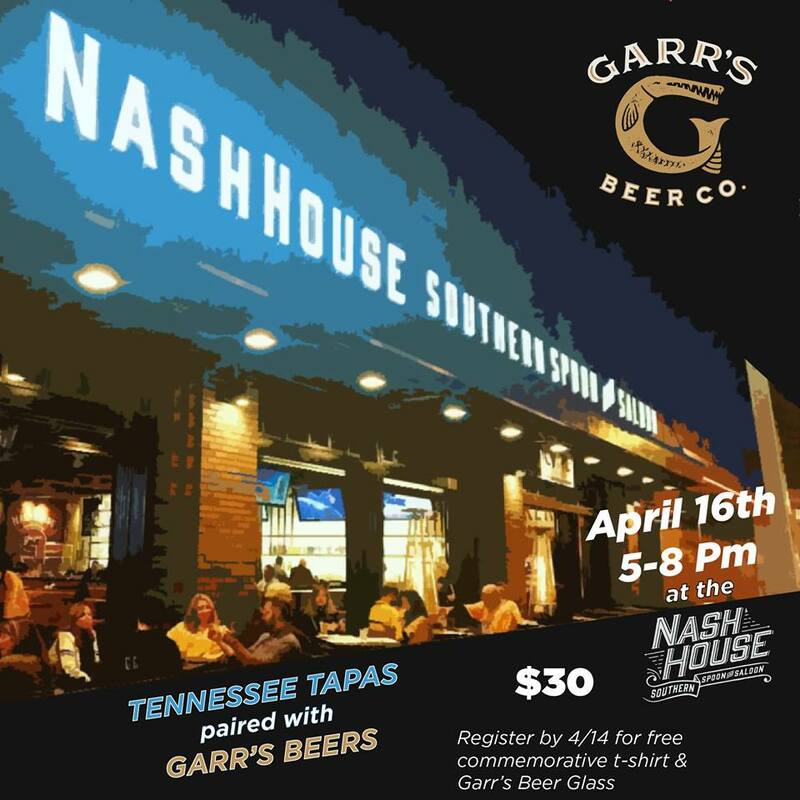 Enjoy a specially prepared menu by NashHouse paired with Garr’s Beers! Event is Tuesday, April 16th. RESERVE HERE!! !​ ​by 4/14 to receive a commemorative t-shirt* and Garr’s Beer Glass with your $30 purchase! Event begins at 5 pm with Tasting Menu at 6 pm. **Valet is complimentary until capacity reached.